Gabe had traveled around the world due to his father's wanderlust until they settled in the South Pacific. He makes friends with other outsiders on the islands of Ma'atea. When he fears being charged with a serious crime, he flees with Lloyd and Tanya on the sloop Plumbelly. They sail into the Pacific, but it's not the easy escape they thought it would be. Plumbelly opens with the three teens on the sloop already, then circles back to events weeks prior to chapter 1. This is a frequent tactic in anime, novels, movies or shows, without the classic "three days later" showing up the screen. It's an indeterminate period of time between chapter 2 and the events leading up to chapter 1. Gabe is one of the few white people on the island, so he gets hassled a lot in school and in the neighborhood. One of the teachers suggested a "class trip," but it was a one on one camping trip where he tries to take advantage of Gabe. Instead, he slipped away and was injured, and soon after spent more time trying to refurbish the abandoned sloop and getting to know his friend's sister Tanya. He does threaten the principal with a gun to get that teacher fired, but the teacher soon after is shot and found dead in the harbor. Between that and his friend Lloyd's father beating him and making threatening statements, Gabe fears he will be charged with the murder. This is Maynard's first novel. 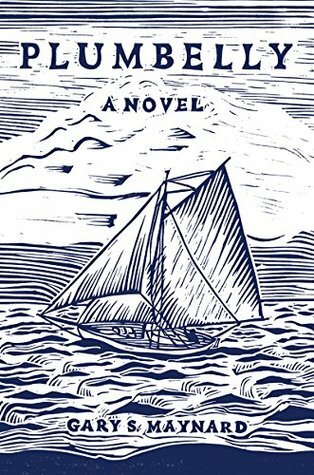 It has a lot of nautical lingo and vivid descriptions of island life and the ocean. There's a mix of island words as well as regular English slang, adding to the local flavor of the story. It's amazing how well Gabe was able to stand up for himself, especially considering how dismissive and verbally abusive his parents and brother can be. He doesn't really have close affection ties to them, so that makes it easier for him to run away. His friendship with Lloyd and romance with Tanya are intense, as teenage relationships in such situations usually are, and Gabe goes through a lot over the course of the novel. I feel so badly for everything that had happened, and it can be said that unsecured guns were the source of a number of his problems. The end of the novel felt abrupt, because I couldn't but think "This can't be it!" It does have a fitting ending, but it's not the one I wanted for Gabe. I was hoping that he could have his happily ever after, even if it's not a result that would have made any kind of logical sense. Maynard did a great job pulling all of these pieces together and making me so invested in Gabe's story. I really enjoyed reading the book!